Irish authorities have announced the first deaths from “Australian flu” as the virus takes hold in the northern hemisphere, after causing the worst flu season for a decade in Australia. 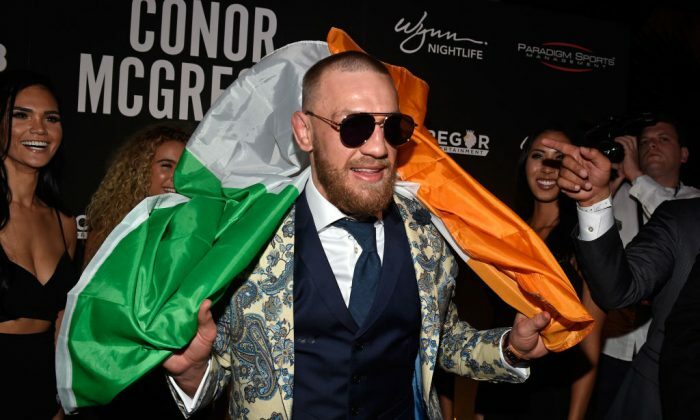 MMA champion and global star Conor McGregor was among those affected by the “Aussie flu”, officially known as H3N2, with experts saying the current strain appears to be particularly resistant to vaccines. McGregor wrote on Instagram that he had been struck down by the virus during the New year, which he said had left him “shaking” in bed for two days. McGregor later deleted the post, which accompanied a picture of himself with his son on a bed, without explanation. “Well that was a wild New Year’s Eve. Half the family hit with the Australian flu virus and some even left in hospital with it,” he said in the post, as widely reported in the media. Irish Health and Service Executive (HSE) issued a warning that the Aussie flu had arrived in Ireland; something which health services in the northern hemisphere have been anticipating for months. The H3N2 strain is behind the biggest flu epidemic in a decade to swept through Australia as the southern hemisphere went through its winter. Confusingly, although the strain has been dubbed “Aussie flu” the epidemic is thought to have in fact originated in the northern hemisphere. Speaking to RTÉ Radio 1’s Morning Ireland, Kelleher said some people are more at risk of “Aussie flu” than others and that the symptoms can affect people very quickly, reported the Independent. “I’m not sure if the Australian flu is the Irish flu because they got it from us, or it’s the Australian flu because we got it from them, but we know it’s that virus,” he said. Juniors first Christmas Eve ❤️ Happy Christmas everyone! In his deleted comments on social media, McGregor said that he wanted to leave the bad experience of the flu behind him. Other posts of him enjoying the festive period with his family remain on his Instagram account.